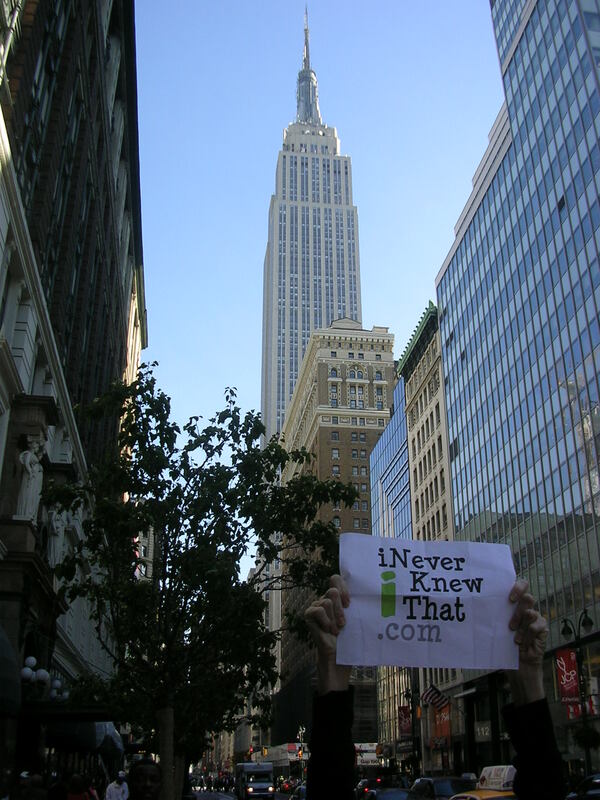 A fun photo of New York City's tallest icon in the background. One New York City icon bumped another right out of it's location. The Empire State Building was built where the original Waldorf-Astoria Hotel once stood. In 1929 the hotel was demolished and the then tallest building in the world was completed on May 1, 1931, at 34th Street and 5th Avenue. That year the new Waldorf-Astoria opened between 49th and 50th Streets on Park Avenue.